Hello lovelies! 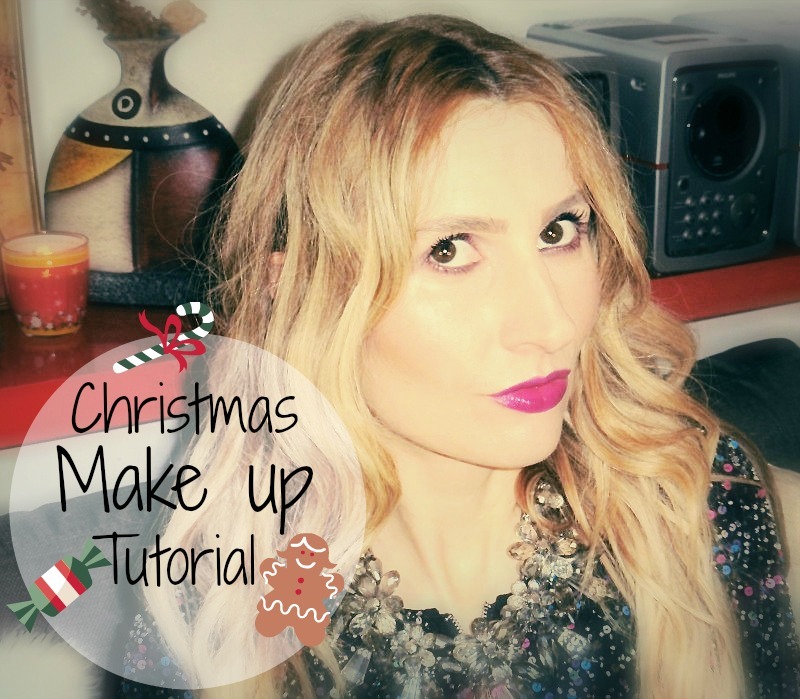 As a part of my Vlogmas 2016. video series, today on my youtube channel I have a Christmas make up tutorial + festive outfit idea! 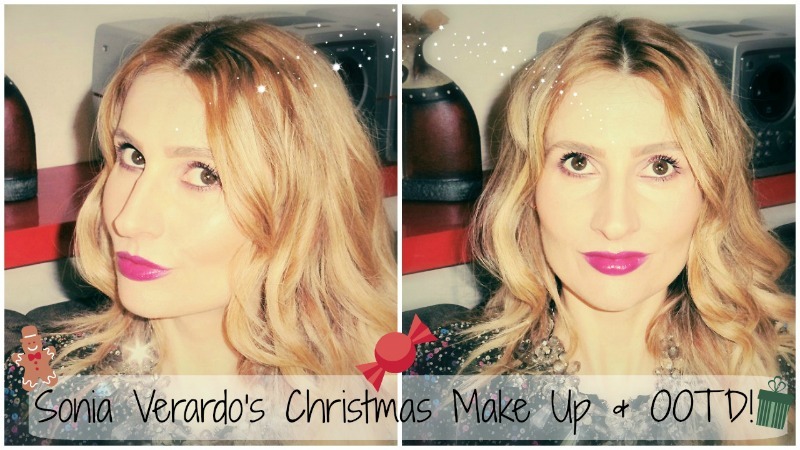 I used one of my favourite eyeshadow palettes of the moment, Maybelline The Blushed Nudes, to create this lovely festive look. I'm also in love with the YSL Rouge Volupte lipstick in # 12. I bought it a few seasons ago, but I always rediscover it in autumn and winter time. The colour is so rich and pigmented and the texture is so creamy, on lips it feels super luxurious. 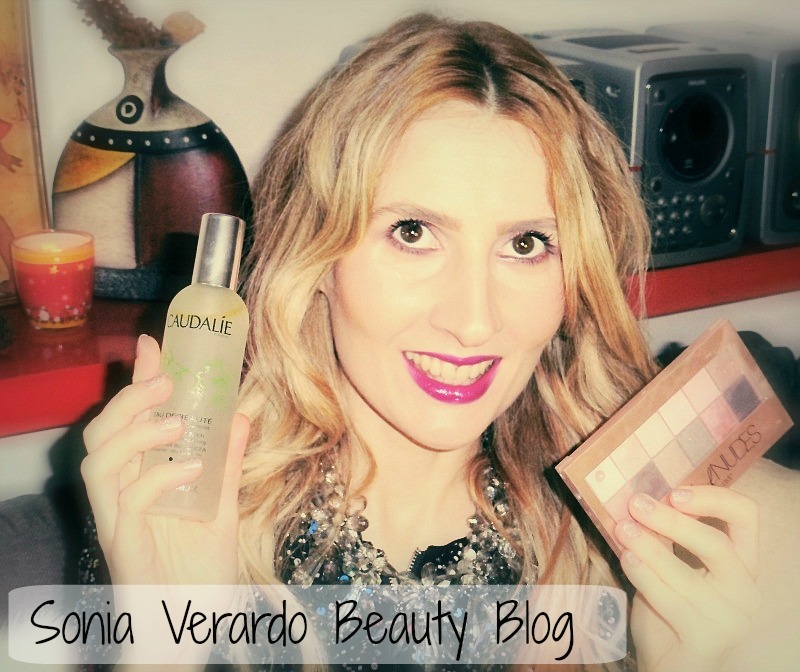 I have another beauty must- have in my winter skin care and make up routine: It's Caudalie Beauty Elixir, a true cult product and the one that is definitely worth the hype! It's very versatile as you can use it to set your make up, or as a part of your skin care (as a toner), it will instantly refresh your skin and boost it with energy, moisture and radiance! What an awesome product! 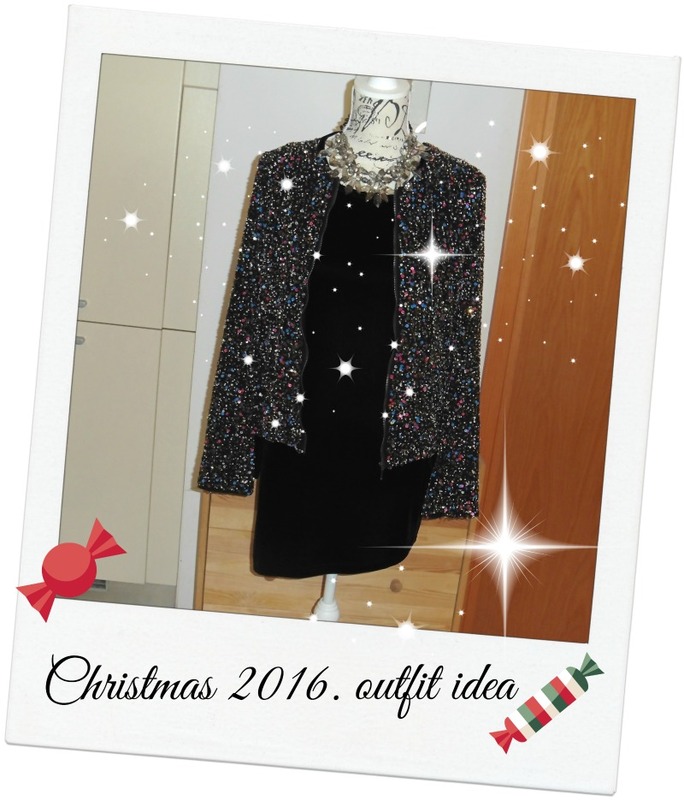 As far as my Christmas 2016. outfit idea, I went for something glam, sparkly and on trend! This dark blue velvet dress that I chose to wear, isn't a new purchase, actually it's rather "ancient", as I bought it when I was still in high school (at 16, 17 years of age!). I wore it once or twice, and I'm pretty sure I never actually had the occasion to wear it outside! But velvet was a huge trend back then, as it is now (choker necklaces, velvet, oversized denim jackets...'90.-ies trends are still experiencing a huge comeback! ), and I'm now very happy that I kept this dress in my closet all these years. Except for the baby bump being slightly "in the way", it still fits perfectly! I already filmed another tutorial with Maybelline The Blushed Nudes palette, and in that video I also did a more in debth review of the palette! I created a soft, true rose gold, lovely make up look! I'll leave you the link to that video too, but soon I'll be doing a separate post on this palette! These P2 Sand Style polishes are my new discoveries, they're absolutely fantastic and simply gorgeous! I picked two shades: #110 Classy and # 070 Pretty. Both are ideal for festive season. They retail for only 2.99 € and I bought them at Oviesse store, Italy. Let me know how do you like my complete Christmas 2016. look and styling? I would love to try that pallete! Odličan post, draga. Make up je jako lep. Sigurno ću probati. Izabrala si presladak outfit. savršeni blagdanski izgled! sviđa mi se ružičasti ruž. I absolutely love this! That outfit is stunning and that palette is fabulous. The shades are so pretty and romantic. I love the shades in this palette! Just Great! Charming look) I like the shade of lipstick!